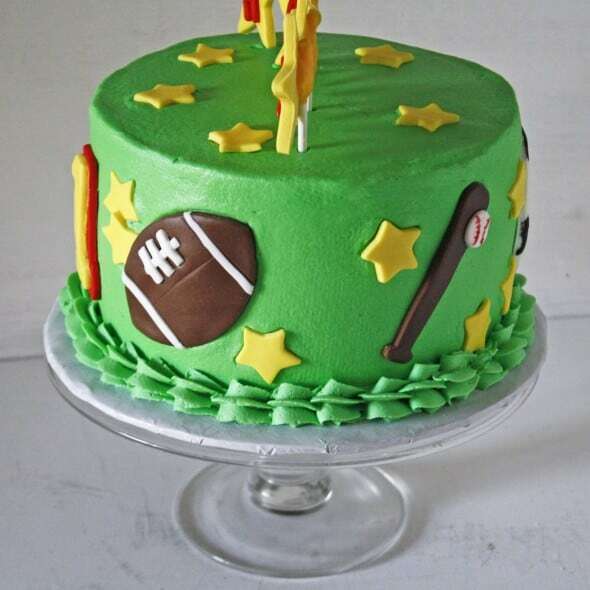 I almost started this post by telling you this All-Sports Cake for Kids was done for my nephew… but Hank is not my nephew – he’s my cousin? He’s my 1st cousin’s son, so that’s my 2nd cousin, right? I think that’s how it works anyway. It doesn’t matter though… he’s family and I’m clearly in need of a little more sleep. That’s all that counts! 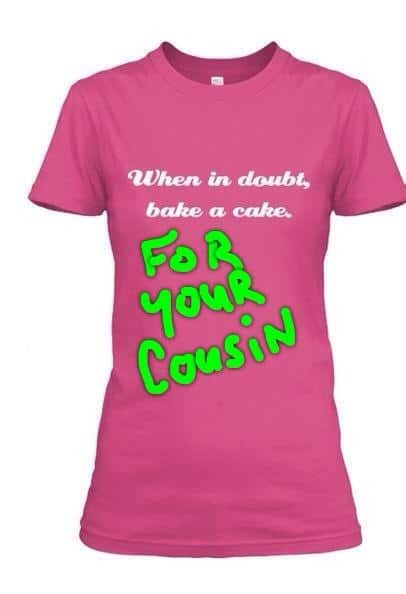 And my 1st cousin Beau (aka James) … let me tell you about him. He’s AWESOME!! And hysterical. Usually when I least expect it he sends me some kind of hysterical text message or PM on Facebook. I almost always laugh out loud and I’m instantly cheered up! Cracked.me.up. In addition to cheering me up on a regular basis – Beau is truly an awesome person! He was a medic in the Army and served overseas Iraq/Afghanistan (forgive me, I forget which one or maybe it was both). When he came home, he earned his nursing degree and then most recently his Nurse Practitioner degree. I’m sure there’s a more proper name for it, but my point is – he served his country, he worked hard, he has a beautiful family… and I’m super-duper proud of him. And he makes me laugh. A lot. Ooooh, speaking of his family… his wife (Rosemary) and sister (Heather) blog at Instead of Doing Dishes about their travels to historical homes and lots of other interesting stuff! (their Facebook page is here). PS. Those girls are awesome too! Anyway – he’s going to probably strangle me for writing a blog post about him, but oh well… I’ll just bake him a cake and maybe he’ll forgive me. 😀 Right, Beau? Sooooo…. 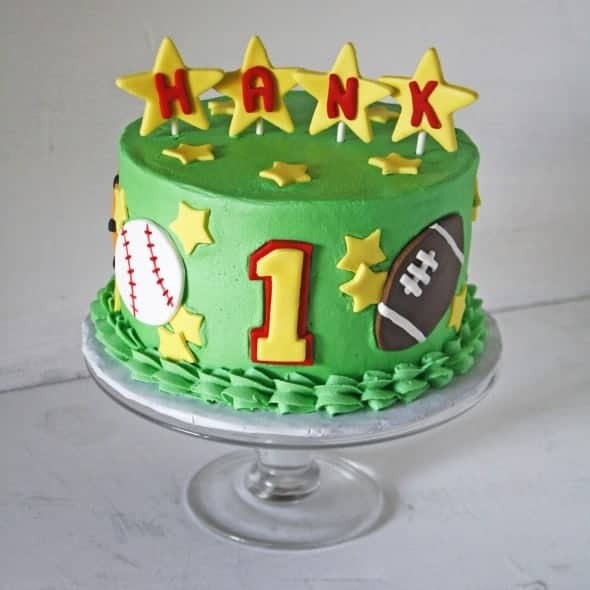 having said all of that, this is the cake I made for Hank’s 1st birthday! I’ve also made cakes for Luke (Beau’s oldest son)… here’s a Batman cake, and a cake for Beau’s wife Rosemary… an MSU Cake. 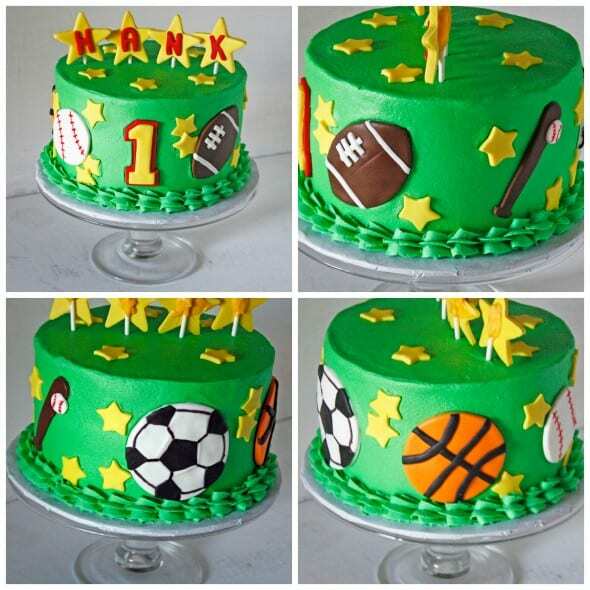 Luke likes sports and sports balls – all kinds – so I added a baseball, football, soccer, and basketball. And can I just say – drawing a soccer ball is hard. Or at least it was for me! I could not for the life of me get it to look perfectly “right”. Anywho – the cake was chocolate cake with leaf green vanilla buttercream. All of the decorations were homemade marshmallow fondant including the stars on top with his name. I cut them out using small star cutters, then the letters with Satin Ice Red fondant and these Fox Run letter cutters. 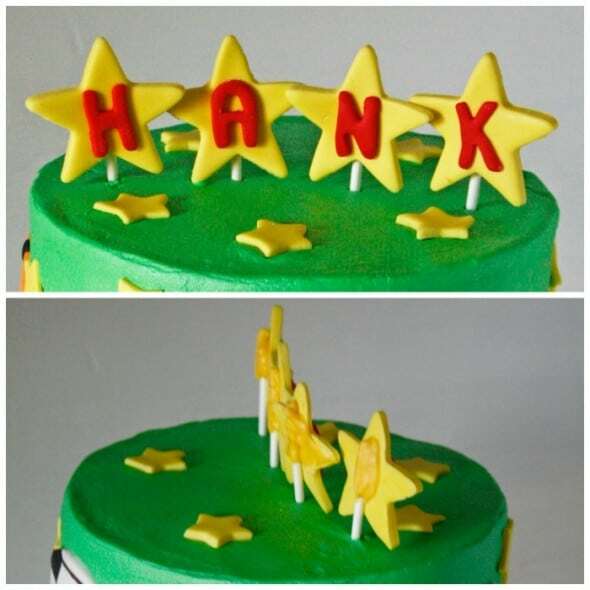 I “glued” the stars on lollipop sticks with melted candy melts and then stood them on the cake when they were dry! And that’s it, I think! 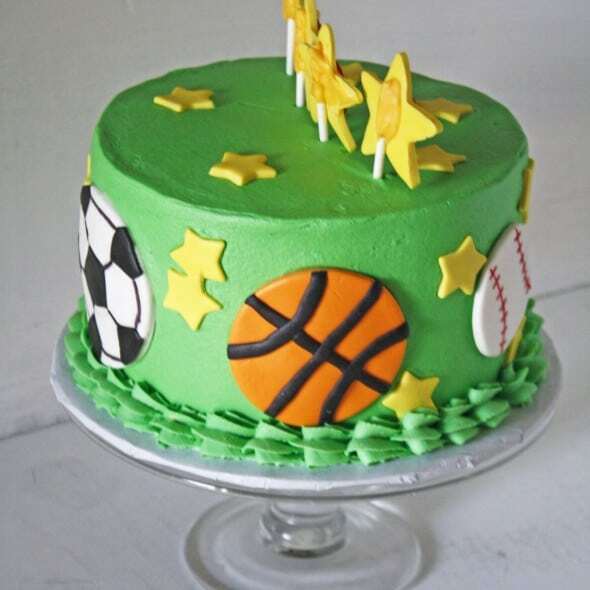 Do you have any questions about this All Sports Cake? Leave me a comment if you do and I’ll answer if I can! I love following you and seeing your beautiful creations! 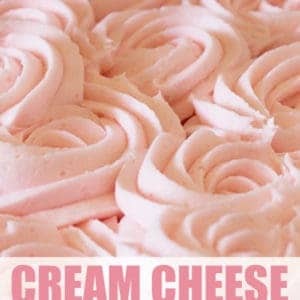 What is the trick to getting buttercream smooth on cakes? 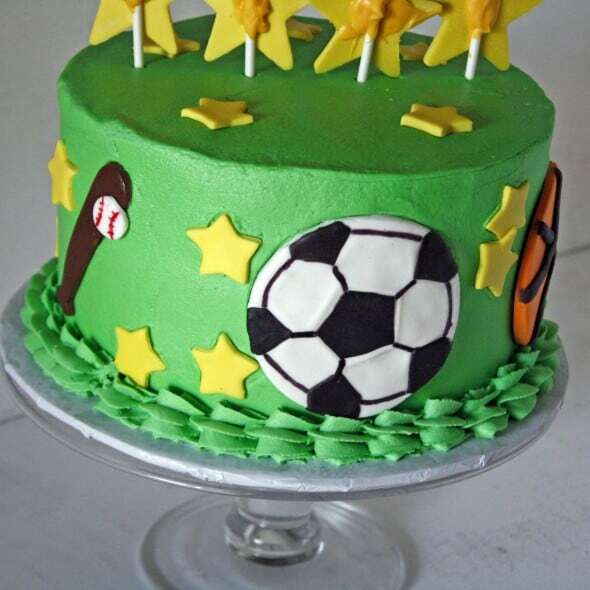 The accents on this cake were fondant Mary, but the majority was buttercream! Thank you!